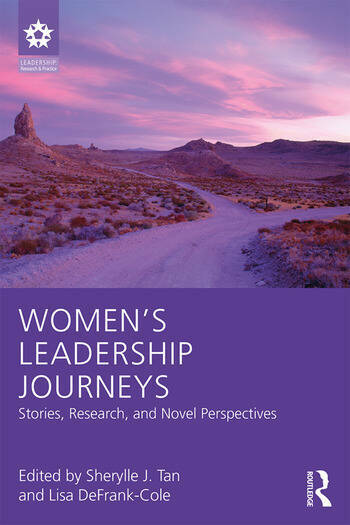 This volume brings together research from leading scholars with stories from women leaders in diverse sectors to provide insights from their leadership journeys. The book begins with personal stories of women’s leadership journeys by chief executive officers, a former U.S. ambassador, a college president, and others. The stories enable readers to make sense of their own leadership journeys by learning about the varied paths to leadership and taking note of key elements such as role transitions, defining moments, identity development, and growth mindsets. Next, scholars discuss novel research that can guide women in navigating their journeys to leadership, including on followership, competition, representation of women in politics, and the role of biology in leadership. This must-have volume offers cutting-edge perspectives and a guide for women to navigate their own journeys to impactful leadership. Sherylle J. Tan is Director of Internships and KLI Research at the Kravis Leadership Institute at Claremont McKenna College, USA. Her research focuses on women and leadership and evaluation of leadership education programs. Lisa DeFrank-Cole is Associate Professor and Director of Leadership Studies at West Virginia University, USA. Her research interests include the combined topics of women and leadership.